Glass Window and Windshield Replacement – Folsom, CA Best Glass company in the Folsom area and experts you can trust. Folsom Glass Installation – window glass, car glass, mirror glass and other glass products. Windshield Replacement in Folsom – replacement on pretty much any car as well as side glass, back glass, vent glass and quarter glass in your vehicle. 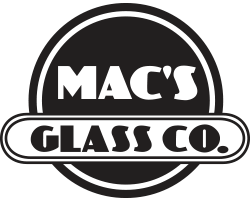 At Mac’s Discount Glass Inc., our goal is to provide our customers in Folsom with first-class customer service and rock bottom rates and best discounted prices- not just Folsom, but surrounding cities Fair Oaks, El Dorado Hills, Citrus Heights and more. Our glass prices are the best and lowest around and we try to match that of our glass competitors in the glass industry. We provide services to all Folsom homes, such as energy-saving insulated glass, window glass, tinted glass, entry door glass, mirrors, windshield glass, shower enclosures, and custom glass. We provide lifetime warranty on our work, and we are approved by all and preferred by insurance companies than any other auto glass provider. Trust our friendly auto glass installation and replacement experts. 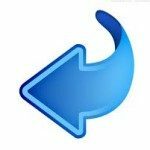 Simply start with visiting our website. Our glass shop can install and replace your Windshield in your automobile the back glass in your vehicle as well as Quarter Glass, Side Glass, Window regulator. Where does our glass replacement and installation service? Right here in Folsom, California area, or we can come out to surrounding cities like Fair Oaks, Rancho Cordova, El Dorado Hills California area. We can come to your place of business or home. You don’t need to drive, we offer free mobile service for glass repair to Folsom. We love Folsom as much as you do. Folsom has a rich history beginning with the ’49ers during California’s great Gold Rush. It was the site of the West’s first railroad and the world’s first long-distance transmission of electricity. Folsom’s population in 2010 was 64,394 (71,018 including prison inmates). That number is near the population limit, according to the City’s General Plan. Many residents work in Sacramento, which also is enjoying rapid growth. They find the City an easy commute and an attractive alternative to the more congested Sacramento urban scene. Folsom is also becoming a city in which residents find their employment right here. Many high-tech companies have built large production facilities.